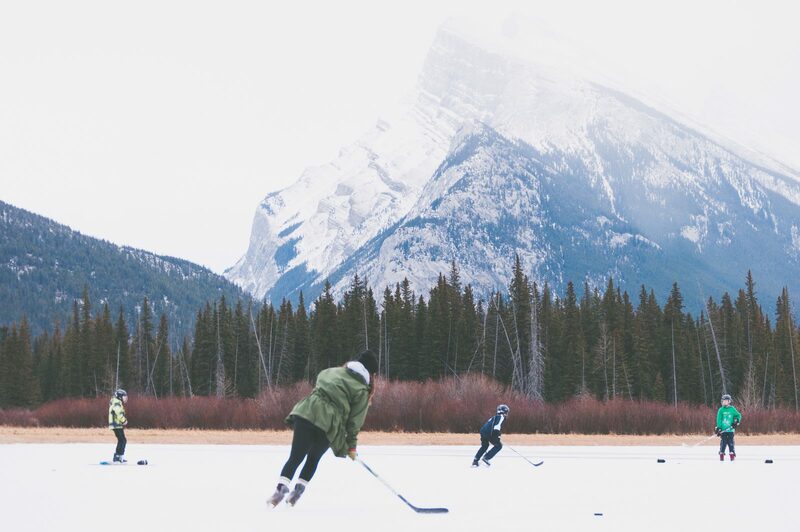 A new game called shinnie was invented in the early 1800’s on a frozen pond in Nova Scotia. Also known as hockey, the game soon became popular thoughout the country. hockey imageHockey was not the only game invented in Canada. Basketball was also created here, but large, heated buildings where games like basketball could be played did not exist in most rural communities and ice was available everywhere. Children played on frozen ponds, lakes and rivers. Teams played in large unheated buildings, which protected audiences, players and ice surfaces from snow and stormy weather.